Many love breakfast but it is not really the meal of choice for me. I don’t care for cereal or eggs or syrupy waffles or toast with jam. I refused to drink coffee until well into my 40’s. But bacon is different. Crispy bacon I love. On a burger, in a pasta sauce, on a salad, or by itself. The satisfaction in a good slice of crispy bacon can’t be beat. The crunch, the zing of savory salt. Fresh out of the oven. Yes’m, I roast my bacon I the oven. If you haven’t tried it, please do. So very tasty and completely crispy. 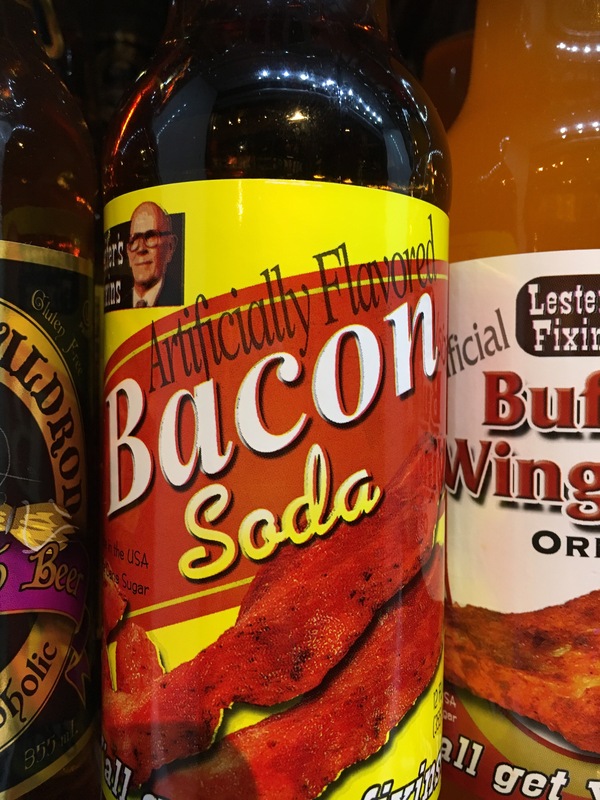 BUT…I do not understand products like bacon gum, bacon soda or bacon lip balm. Gum should be refreshing, soda should be sweet, and my lips should not taste like artificial bacon for hours. It is just not right. I am sure there are those that disagree. There is someone out there hankering for bacon ice cream right now. But, it is not me. I’ll stick to the standard BLT, extra bacon please. « Do You Know When You’re Being Watched?